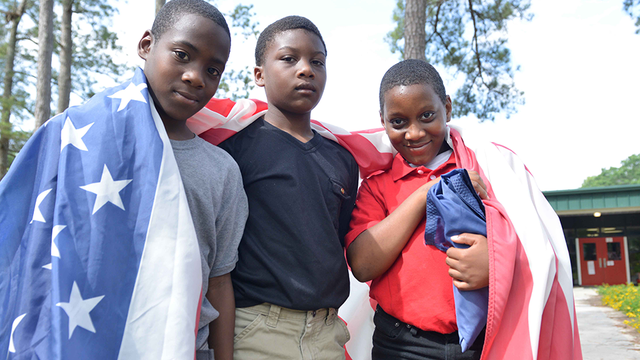 An inspiring new documentary 180 Days: Hartsville takes a fresh look at the nation’s poverty and education challenges from a rural South Carolina town triumphing in the face of extraordinary challenges. The two-hour special, co-produced by South Carolina ETV (SCETV) and National Black Programming Consortium (NBPC), airs on WTVS - Detroit Public Television from 8 to 10 p.m. ET on Monday, March 23. The film was funded by the Corporation for Public Broadcasting (CPB) as part of American Graduate: Let’s Make it Happen, a public media initiative to stem the dropout crisis by supporting community-based solutions. Co-directors Jacquie Jones and Garland McLaurin, the team behind the Peabody Award-winning documentary 180 Days: A Year Inside an American High School which premiered in 2013, joined SCETV in Hartsville, South Carolina for more than a year. They filmed in two elementary schools struggling with new curriculum standards and maintaining funding, while meeting the needs of individual students. South Carolina ranks 45th in the country in education. The majority of Hartsville residents hover on the poverty line with a median income of less than $30,000 and more than half of the city’s students qualify for free and reduced-price school lunches. Yet Hartsville is fighting the odds—and winning—with an astonishing 92 percent graduation rate in their city. This is a remarkable achievement considering that one-third of students from low-income families in many states did not graduate despite an increase in the national graduation rate of 80 percent for the class of 2012, according to the National Center for Education Statistics.